When you think of doing just about any "artsy" thing in Oklahoma, like the ballet, the opera, the philharmonic, theatre, and so on, it probably is touched by the support of Allied Arts. Allied Arts is the fund for arts in Oklahoma and most of where artists, when we receive something like a grant to do a big project or festival or educational programming, get the financial support to make creative goals happen, often to the benefit of the community. Allied Arts includes ScienceMuseum Oklahoma and The Oklahoma City Museum of Art among its members, reaching not only adult members of the community, but enriching children's educational experiences as well. They are a great group of people and an office of art lovers! 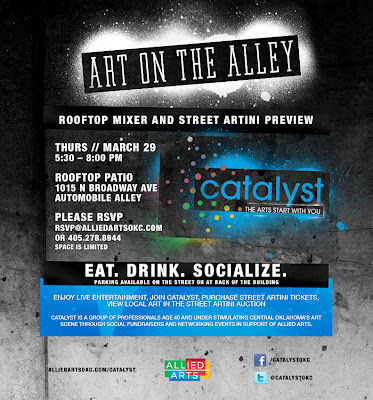 I will have work featured in the art auction at Allied Arts Street ARTini event on April 20th, OKC's premier martini tasting event! There will be live entertainment and food. 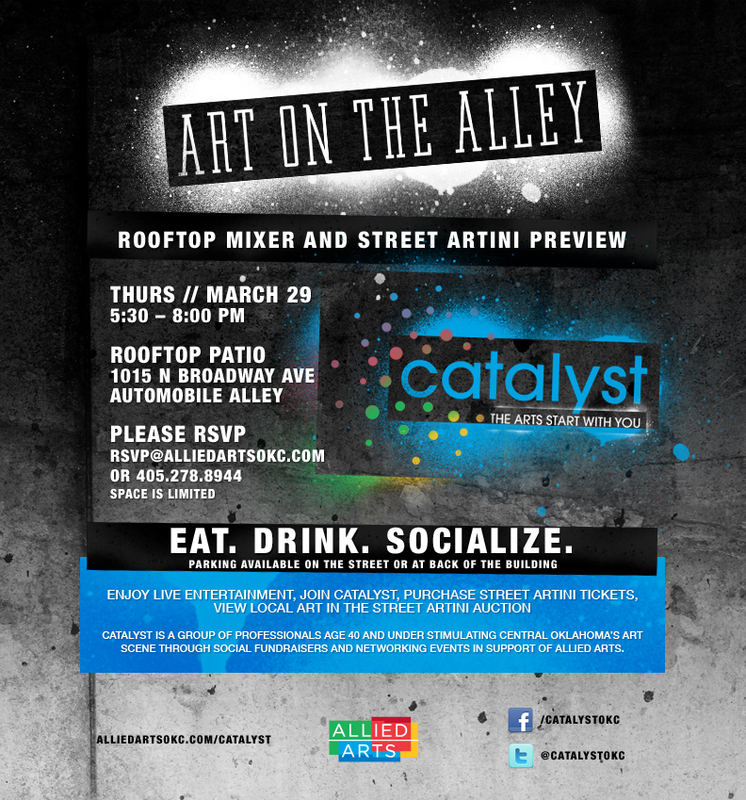 I also got word today that it will make a stop over at the preview party March 29th. Below is the information on that if you are interested in checking it out! Either way I do hope you will come out to ARTini and support Allied Arts!